formal involvement with MNAI in December 2017. As an early MNAI pilot, the City of Grand Forks, BC initially planned to assess the role of wetlands in stormwater management, but massive floods in 2017 and 2018 forced a change in plans. Given the literally and figuratively changing landscape, the City of Grand Forks and MNAI, decided to assess flood mitigation benefits from the Kettle River Floodplain under different development scenarios. The results demonstrated that the Kettle River floodplain provides – at a minimum – between $500 and $3,500/hectare in flood damage reduction for downtown buildings in the City of Grand Forks during high flow events. providing and input into an Official Community Plan (OCP) update that will support implementation of the City’s new Sensitive Ecosystem Inventory and a 2018-19 floodplain mapping and risk assessment project. Natural assets solutions now figure prominently in a $49.9M disaster mitigation funding application from the City to the federal government. If the application is successful this will help sustain efforts to imbed natural assets in asset management processes and financial plans. Expanding the scope of the floodplain risk assessment to look at community risk as a function of slope, geomorphic hazards, water velocity and other variables normally not used in floodplain bylaws. The City has also started reconceptualizing flood damage. In the original MNAI project, damage was understood to mean downstream flood damage, primarily to buildings. Now, the City is considering whether and how to move infrastructure in the floodplain – not to avoid downstream flooding, but because the floodplain itself poses risks. Thus, through a process of reducing encroachment, both upstream and downstream risk can be reduced. The City of Grand Forks is focused on building back better to reduce future flooding risk. At this point, there is strong momentum for understanding and acting on the role of natural assets within this process. 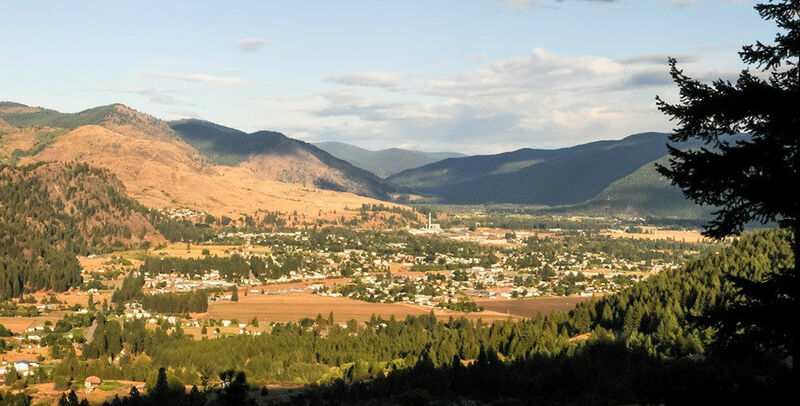 One result in that in January 2019, the City applied for $49.9 million in funding for flood infrastructure from the Federal Disaster Mitigation and Adaptation Fund (DMAF) program. Their goal is to protect both residential neighbourhoods and vulnerable areas in the downtown core, and as part of this, to recreate wetland areas and re-establish floodplain in high risk areas, including through land acquisition and removing infrastructure from vulnerable area. More details are here. integrating natural assets into the City’s overall asset management program. Drivers for this could include, according to City staff, additional direction from the Public Sector Accounting Board. For example, lifecycle budgeting for the replacement of capital assets in general was brought on by change to PSAB guideline 3150; the same sort of approach could be brought about by the Board for natural assets also. [See a full discussion on PSAB and natural assets here]. The most pressing challenge to the future of natural asset management in Grand Forks is sustaining the expertise for, and focus on, natural assets until it is embedded fully into asset management processes and financial plans. Stated differently, recognizing the importance of natural assets in flood mitigation at the level of strategy and principle does not automatically translate into programme-level action and corresponding budgets without further effort and impetus.